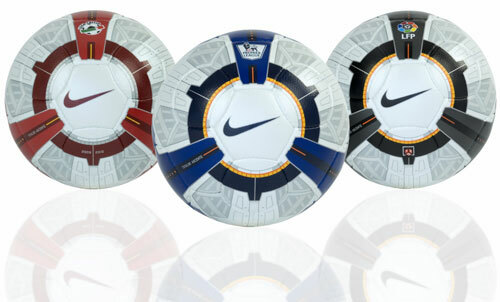 The new football for the 2009/10 Premier League season has been revealed. It is called the Nike Total 90 Ascente. In development for 2 years, the new ball comes with so much technical jargon it might as well come with a user’s manual and guide. The ball has been designed with a golf ball in mind with a new micro-textured design which allows the ball to carve through the air with more accuracy and precision. The ball has a very slick design on it which apparently ‘catches your periphery and engage your central vision quickly’. Simply put, you will be able to see the ball easily which is handy. The ball will be used in the Premier League, La Liga and Serie A with each league getting its own colour scheme. The end result is a more accurate and responsive ball that will fly through the air with more power than ever before. So this should result in plenty of goals this season, unless you’re Emmanuel Adebayor that is.